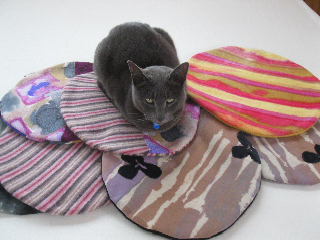 Drifting Cloud Designs creates these gorgeous “The Cat Sat on the Mat” cat mats. Using all natural fibre including pre-loved denim, hand printed cotton and wool as well upcycled woolen jumpers. Drifiting Cloud Designs cat mats protect your upholstery and furniture, gives your cat joy and brightens up your home… who could ask for more? 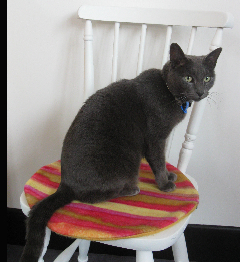 So come on down to Northern Regards Artisan Market for our First Birthday Celebration on Saturday 5t July from 11am til 4pm at the Northcote Social Club and grab a gorgeous and practical Drifting Cloud Designs cat mat for your feline friend. 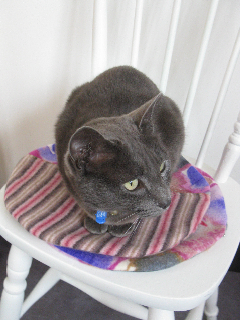 This entry was posted in Uncategorized and tagged Artisans, cat mats, Drifting Cloud Designs, Handmade, local, market, Melbourne, Northcote, Northcote Social Club, Northern Regards Artisan Market, recycled, Sustainable, The Cat Sat on the Mat, upcycled. Bookmark the permalink.